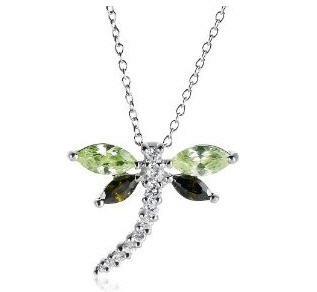 This charming dragonfly pendant adds a spring-like touch to any outfit. 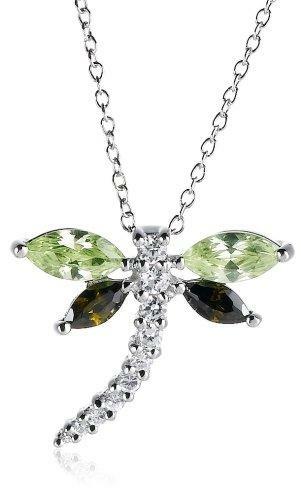 Exquisitely styled in polished sterling silver, it features a curved body made up of sparkling round cubic zirconia stones, and colorful marquise-shaped light and dark green cubic zirconia wings. The pendant is showcased on an 18 inch sterling silver cable chain that threads through a hidden bale and fastens with a spring ring clasp.